We appreciate the mayor’s effort in responding to our campaign. However, we are disappointed that his response is disingenuous, glossing over and concealing the truth. We responded to Mayor Lee informing him that we are able to access information regarding the dog meat industry in his district and urged him to take affirmative action to shut down the illegal dog meat trade. perseverance and dedication in helping us fight against this cruel industry. Rudy in Seoul, South Korea, July 2017. 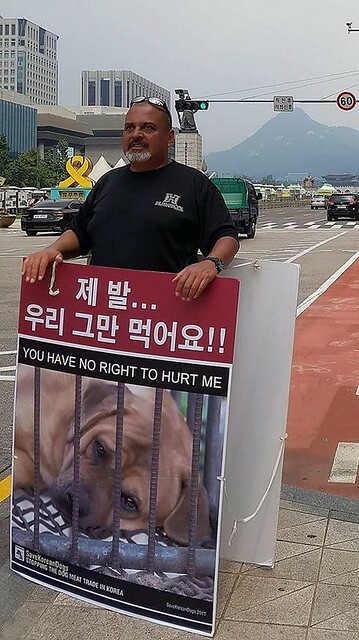 Rudy traveled to Korea to protest against the Korea’s dog and cat meat cruelty. Thank you for responding to our campaign against the dog and cat meat trade in the Seoul Gangdong-gu District. Our campaigns are based on facts and honest research. 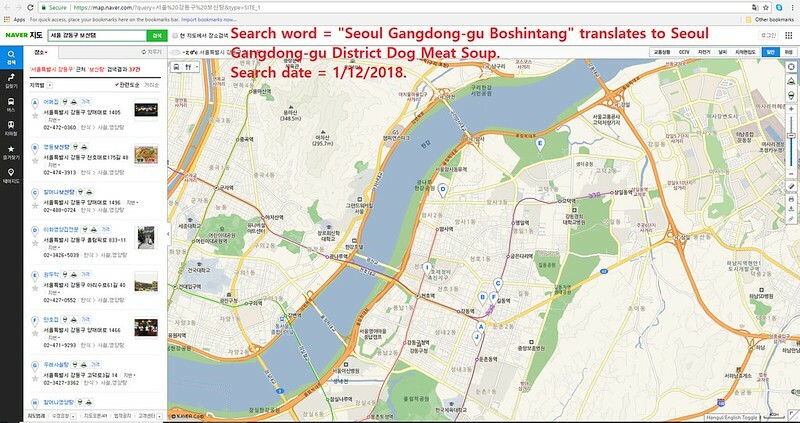 We have found that the illegal dog meat industry does indeed exist in Seoul Gangdong-gu and your district appears to be doing nothing about it. Dog-meat consumption is not legal in South Korea. However, the majority of Koreans show a profound indifference to both the law and moral principles by doing nothing at all to stop the illegal dog-meat trade. Dogs are being brutally tortured and eaten as if it were completely legal. 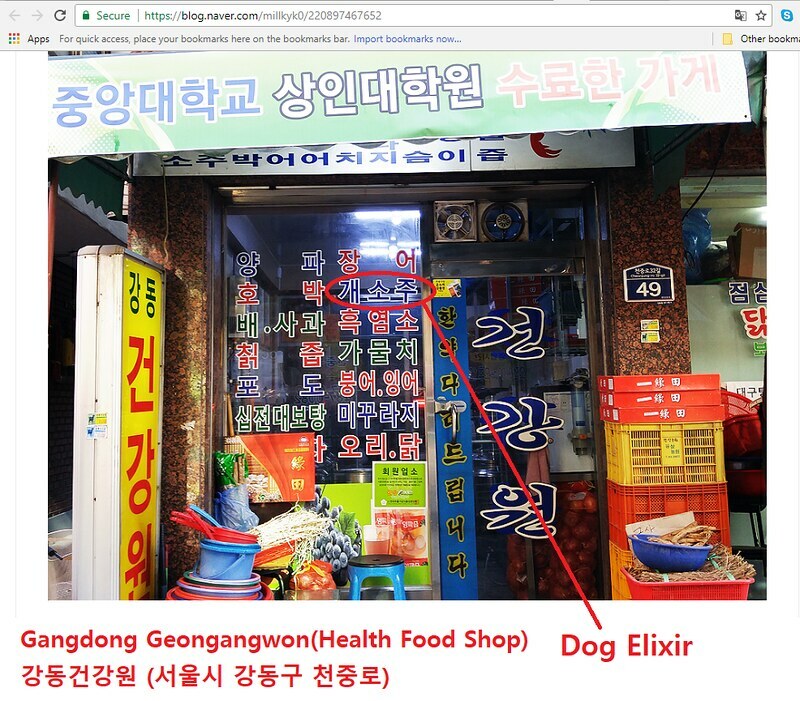 Therefore, all the restaurants in Seoul Gangdong-gu that sell dog meat/elixir products are operating illegally. 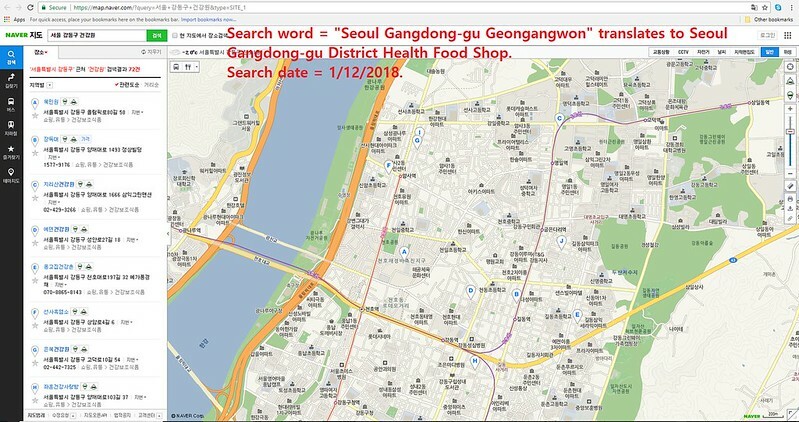 What is Seoul Gangdong-gu doing to enforce the law and shut down these illegal businesses? You claim there are no dog farms/slaughterhouses because there are no government records, regulations or oversight for dog farms/slaughterhouses in Korea. But that does not mean that dogs farms do not exist. Local dog meat businesses obtain dog meat from large factory farms or homes that breed dogs to make money. In reality, your government is aware of the dog meat industry but turns a blind eye to it, and no one is protecting dogs from cruel treatment and slaughter. 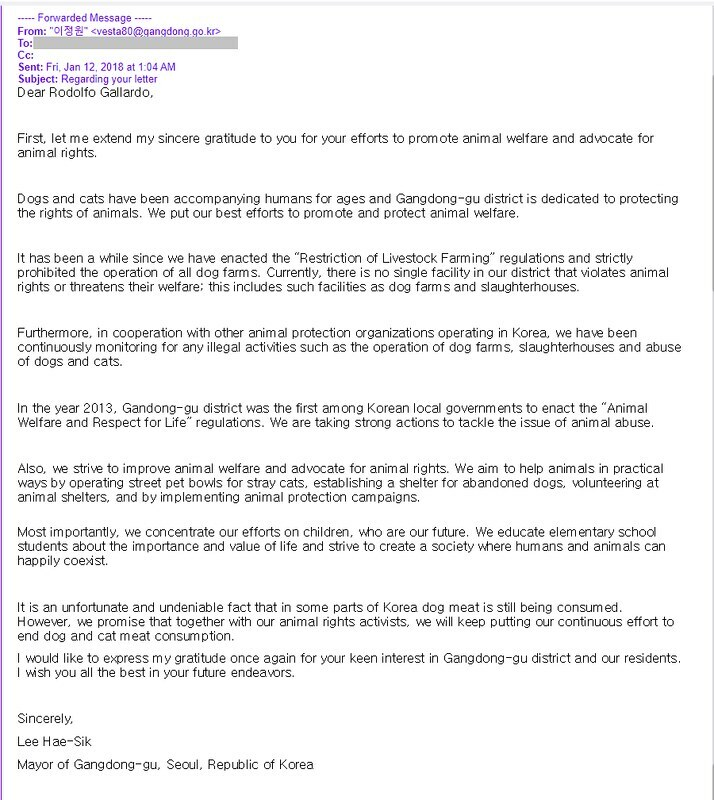 Mayor Lee, I grew up in Korea, and I’m fluent in Korean and very familiar with Korea’s dog meat industry. 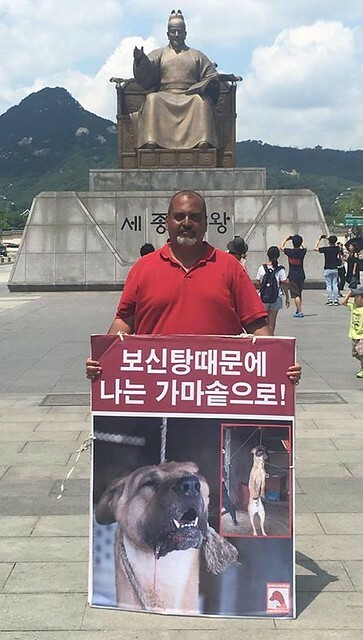 No one has challenged the Korean government regarding this illegal and cruel industry the way we are doing with the Sister/Friendship City campaigns because people do not want to upset Koreans. We have no choice but to continue our campaign because the Korean government will not take steps to end this horrific and illegal industry. The solution is not to ignore the problem, deny the problem, or hide the problem. The solution is to fix the problem by ending the illegal dog and cat meat industry permanently. I hope you are fighting just as hard to shut down these savages’ abuse of cats in South Korea too! I’ve heard too many horror stories of innocent cats being boiled alive to make “heath tonics”. 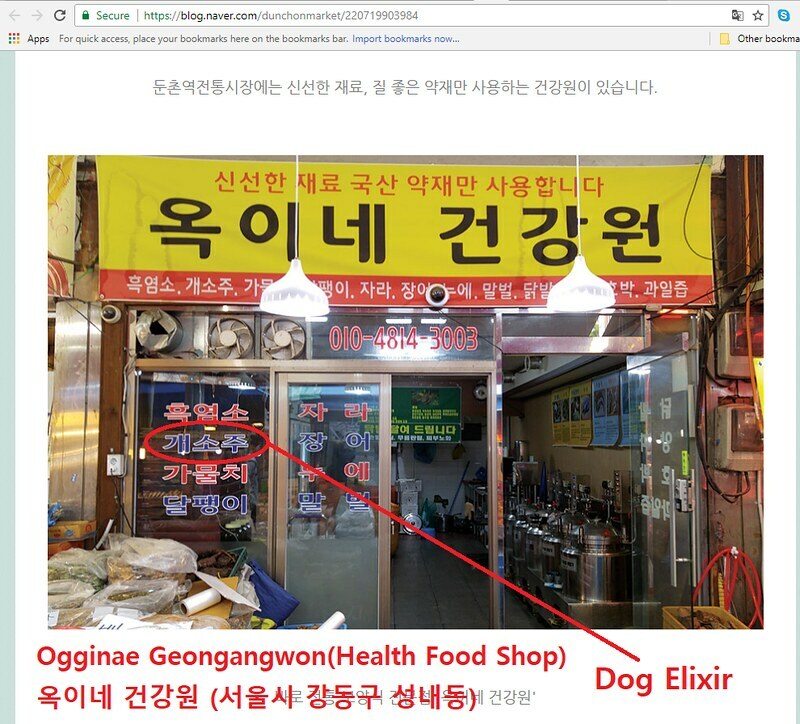 I think proper justice would see every single person who drinks (and makes, and sells) cat or dog “elixir” would die of rabies or some other disease. Maybe then the market for such sickening products would disappear. well answered !!!! thank you Giny !!!! but we can say that Mayor is part of the small amount of Korean officials who responds to us !! it is a serious global problem, ethical and moral. 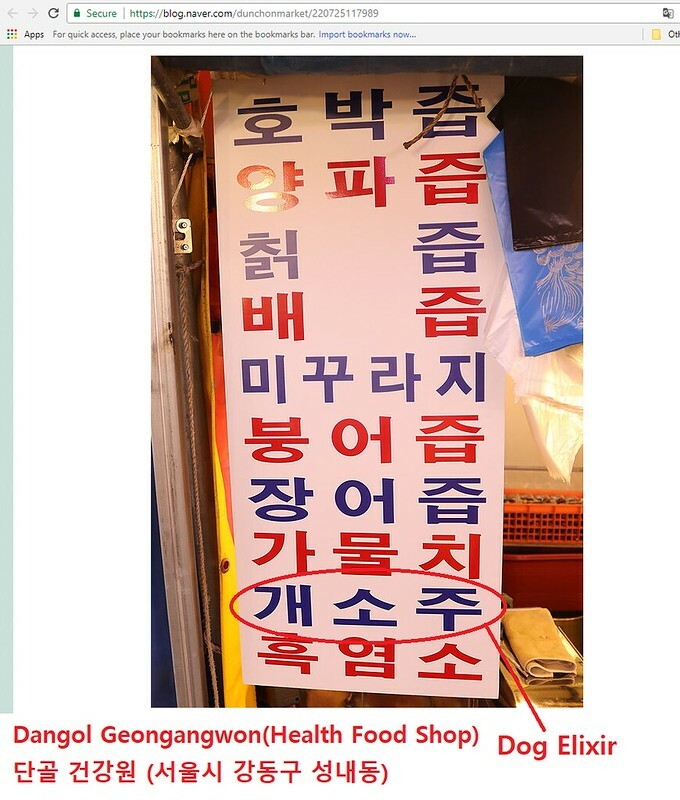 The health of the Korean people is also threatened …. and I am always surprised how it is that the authorities do nothing? !! do not react !!! in France, the bird flu was responsible for the death of millions of birds because suspicion existed !!! sick or not sick, the bird was killed !!!! Gandhi said “whoever sees the problem, and who does nothing, is part of the problem” South Korea must stop being part of this problem. 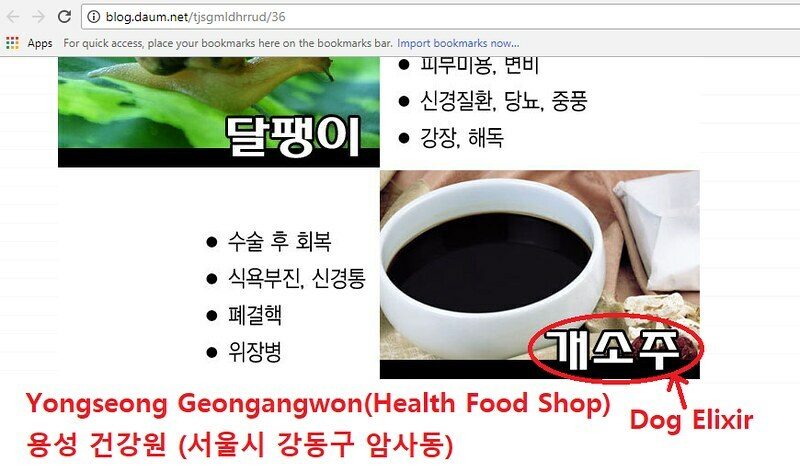 I took the address from the screenshot vesta80@gangdong.go.kr and sent them the following letter. Please do the same everyone. Add your voice to Giny’s! Please take more action to really eliminate cruelty to dogs and cats in your city. I SALUTE YOU HEIDI AND AGREE WITH YOU~!!@!! SEND IN THE MUSCLE~!!!! AND ARMAMENTS~!!! Theses people are seriously stuffed up. The Bible states that we human beings are forbidden to eat animals with paws. Human beings tha break this law by God will be Demonise & will burn for eternity in hell. Says it all. The sooner Mr Kim Nukes the crap out of them the sooner this nightmare will be over.